Even as relations between America and China become more distant, one strong undercurrent is moving in the opposite direction: Chinese students flooding into American universities. There are now 328,000 of them, five times as many as a decade ago. So intense is the hunger for an American education that Chinese students now make up nearly a third of the more than 1m international students in America. No single front in bilateral relations connects more people in both countries, or has the potential to influence a cohort so vital to the future: the sons and daughters of China’s ruling class. The offspring of China’s economic boom are not the first to study in “the beautiful country”, as the US is known in Chinese. A century and a half ago, when the first 120 Chinese students came to America wearing the braided queues of the Qing Dynasty, they were told by their imperial masters to “learn from the barbarians” to help modernise China after its defeat in the opium wars. American officials saw a chance to instil in the next generation of Chinese elites so-called American values: democracy and Christianity. The experiment ended in 1881, after less than a decade, when Qing officials worried that the church-going, baseball-playing boys were becoming too Westernised. The fear ran both ways: a year later, America instituted the Chinese Exclusion Act, a ban on Chinese immigration that would last 60 years. A disproportionate number of these Chinese kids are landing in the American Midwest, one of the nation’s least ethnically diverse areas. 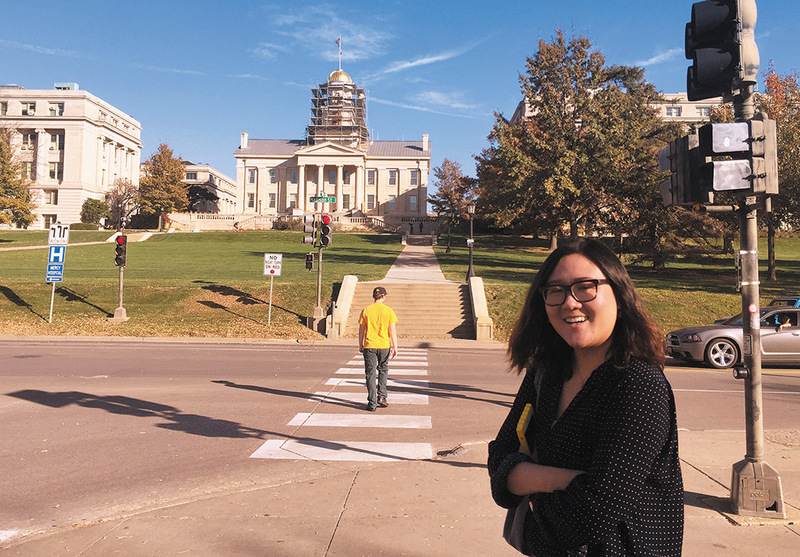 Few have wooed China more assiduously than the University of Iowa, whose courtship of Chinese students coincided with a devastating flood and state budget cuts. 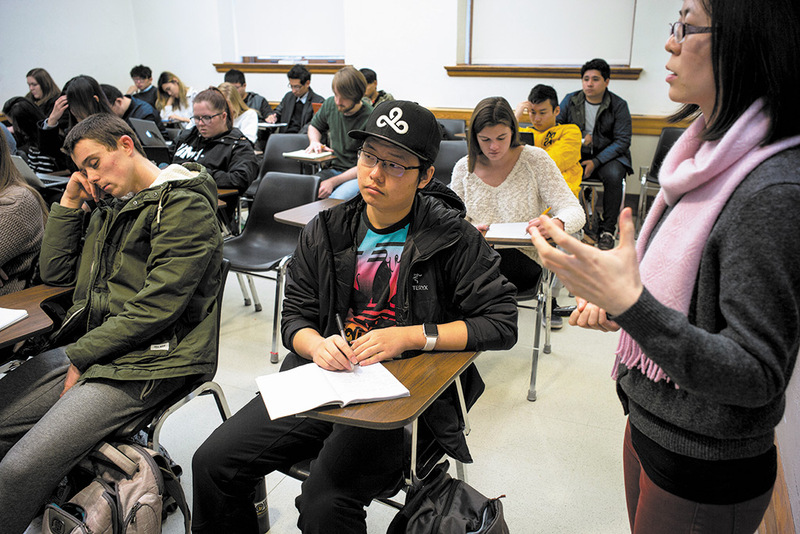 The number of Chinese undergraduates there has jumped from just 47 a decade ago to 2,012 this year, accounting for 80% of all international undergraduates and injecting more than $100m a year into Iowa’s coffers in tuition fees, and room and board alone. 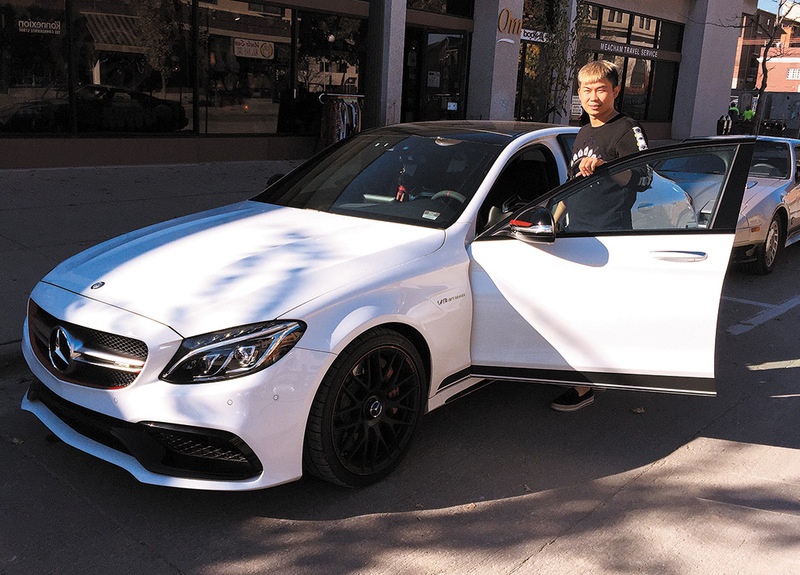 It is a crisp autumn day, and Jonathan Hou, a 21-year-old Chinese student with a shock of bleached-blond hair, is cruising through the campus in his newest toy: a sparkling white $86,000 Mercedes Benz C63S. “It’s the only one in Iowa City,” he says, apologising for the licence plate sliding around the floor beneath the passenger seat. He hasn’t affixed the plate to the front grill yet for aesthetic reasons. “I don’t want to hurt the bumper,” he says. The Mercedes C63S can accelerate from zero to 60mph (97kph) in just 3.8 seconds, but today Jonathan is barely creeping along past the old storefronts on Clinton Street, the main campus artery. He wants to show off his car – but not, it seems, to the baseball-capped American students crossing the street in front of us. As the young men walk past, they stare at the car and its Chinese driver, and snigger. Luxury cars have become the most glaring symbols of Chinese wealth on US campuses, and of the growing chasm between American and Chinese students. In Iowa City, the number of registered luxury vehicles nearly tripled between 2012 and 2014, according to county data. In the two and a half years since, the auto craze has only grown – along with karaoke bars and bubble-tea shops, which now outnumber Starbucks in Iowa City. Not that the Chinese students are experienced drivers. Jonathan bought his first car, an Infiniti, after taking only four driving lessons. A local car dealer told me he often gives Chinese clients their first driving lesson just before handing them the keys to their luxury cars. Even then, some don’t bother with insurance. Last year, a Chinese student crashed her uninsured Porsche Cayenne into a parking-lot wall soon after buying it. No big deal: she bought another. Jonathan has been careful to insure his Mercedes, but his profile – wealthy young Chinese student, multiple speeding tickets, high-performance sports car – makes his annual insurance policy more expensive than the in-state tuition fees for local students. A former junior table-tennis champion in China, Haddy has come a long way from Beijing’s Shichahai sports school, where she says her coaches beat her for deviating from proper forehand form. Her parents pulled her out of the sports-training regimen only to find that the competition in China’s education system was just as fierce, so they enrolled her in the for-profit international wing of a Beijing public high school at a cost of $15,000 a year. Once on that track, her only option was to go to a foreign university. Haddy’s TOEFL (English proficiency) score was too low for most universities – a 78. The Chinese agency that prepared her university applications pushed her towards Iowa: the university not only has a high acceptance rate, about 70% for international applicants, but each year it also takes around 150 “conditional admits” whose marks fall below the minimum score of 80. These students must fulfil one or two years of intensive English before joining the regular curriculum, earning the university even more money. When Haddy retook the TOEFL and scored 82, she gained full admission. Linguistic difficulties were only part of Haddy’s worries when she arrived in Iowa City two years ago. Like many Chinese students, she was a city girl in a country town. “I wondered where the subway was,” Haddy remembers. Iowa City has its share of sophistication – including one of America’s best-known writers’ workshops – but many of her classmates were farm kids, first-generation university students who had never met a foreigner and whose families struggled to pay the $7,000 in-state tuition fees. Haddy’s $28,000 out-of-state fees posed no problem for her parents. They sold a tiny spare apartment in central Beijing for several hundred thousand dollars. The buyers were also part of the education frenzy: they needed a residential foothold so their son could qualify for a top local school. Haddy found solace in the sheer mass of Chinese students at Iowa. When she was initially shunted off into temporary housing – bunk beds crammed into a building lobby – she texted a Chinese girl she had met on the plane (business class, naturally) and moved in with her off-campus. Her friends are all Chinese. Some nights, Haddy goes to bed and realises she hasn’t spoken a word of English all day. One of the students expelled during last year’s cheating scandal was one of Haddy’s former housemates. With just days left on her visa, she turned to a company that helps Chinese students in trouble – an obscure but flourishing corner of the education industry. Almost overnight the company found a spot for the girl at nearby Kirkwood Community College. Now, despite her expulsion, the student lives in the same apartment, drives the same car, and hangs out with the same friends – almost as if nothing happened at all. The home of democracy in Iowa City is the Hamburg Inn, a folksy diner that has been a campaign stop ever since Ronald Reagan dropped by for a slice of meatloaf more than a quarter-century ago. When Li Mingjian, a senior, comes in for a “pie shake” – a concoction that blends ice cream with one of 12 kinds of pie – he and an American friend sit beneath Reagan’s photograph. Next to the cash register is the “coffee-bean caucus”, in which customers drop a bean into the jar of their preferred candidate at election time. Donald Trump may have won the state of Iowa, but Hillary Clinton beat him in the bean count, 4,139 to 2,304. Mingjian, a gregarious business major from China’s coastal Shandong province, refuses to stay inside the Chinese bubble. 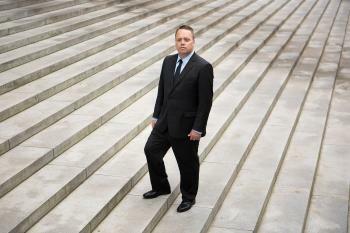 “I didn’t want to waste any time,” he says, “so I threw myself into every activity I could.” The son of two Communist Party members, he wanted to understand Christianity, so he attended Bridges International meetings on campus and twice travelled to the group’s national conference, where the hundreds of Chinese had a side conference completely in Mandarin. He became an admissions tour guide and a residential adviser in his dorm – “just one Chinese guy handling 38 Americans,” he says. But his proudest achievement is twice winning election to the university’s student senate. “I wanted to see how the democratic system worked,” he says. Iowa administrators might wish every Chinese student were so engaged. Like many universities around the country, Iowa has been so focused on recruiting students that its efforts to integrate them into campus life have seemed like an afterthought. The university has added pre-orientation events in China and created some avenues for cultural exchange, such as the business school’s one-on-one partnership programme, International Buddies, which at one point drew more than 300 participants. But other efforts have fizzled. A compulsory course to connect international kids with local mentors “failed miserably”, says Ronald McMullen, a political-science professor and former ambassador who helped teach it. 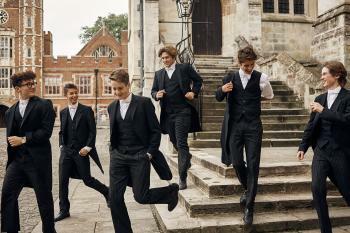 “The Chinese students felt they were frog-marched into the programme. The worst part was that the peer mentors – self-selected local students who wanted to mix with foreign cultures – got disillusioned. They felt that the Chinese students didn’t want to make any effort to integrate.” After one semester, the programme was discontinued, although the course is still offered on a voluntary basis. The University of Iowa campus is friendly, but under the surface, resentments simmer. In the past few years, insensitive, even racist, posts about Chinese students have appeared on social media. (An example from late 2015: “I hate how the Asians here talk in the library and cheat on their tests. Like get the f–-k out.”) One offensive Twitter spree prompted Chinese students to organise a cultural-sensitivity workshop. Yet even today, a sign for a main campus building, Van Allen Hall, has been altered with a black marker to read “Van Alien Hall”. The US presidential election hasn’t enhanced his opinion of democracy. Two days before the presidential vote, he bet a local classmate $1 that Donald Trump would win. “I knew people didn’t tell the truth in the polls,” he said. Trump’s victory thrilled Mingjian at first, partly because he won the bet, but the US president’s erratic China policy has alarmed him. “I prefer the stability of the Chinese system,” he says. In the Hamburg Inn, the irony is richer than pie shakes: last year, a Chinese investor bought Iowa City’s home of democracy. Haddy has come not to pray, but to play. The Duerksens are competitive ping-pong players, and they’ve turned their basement into a shrine to table tennis, with two pristine tables, bright neon lighting and 12-foot-high ceilings. “We designed our entire house around this,” Jarol says. A banner on the wall reads “Jarol and Leah’s Killerspin Shack”. A world map nearby is studded with pins marking their guests’ hometowns; the biggest cluster is in eastern China, where the couple made a recent ping-pong pilgrimage. By the time Haddy comes downstairs, Jarol and Leah are trading spins and smashes with two Chinese guests. “You made it!” shouts Jarol, as Haddy, smiling demurely, pulls out a paddle. She is the top player on a university women’s team made up entirely of Chinese. Last year, the Duerksens joined them at the national tournament, and Leah sewed the jerseys. Haddy has not converted, but she still comes religiously to their house: ping-pong with the pastor is one of the few activities that reminds her she’s really in America. At the Bridges’ ice-breaker, held in an apartment off-campus, Sophie found herself in a group of solicitous Americans – along with a few other Chinese students. They played games and ate homemade casseroles. A pastor led them in prayer. And then the interrogation began. “They wanted to know everything about me,” she said. “It was uncomfortable. They would ask things like, ‘Have you done anything in your life that you feel guilty about?’” Sophie left the meeting shaken, and has never flirted with Christianity again. It wasn’t long before she realised that the script did not fit a state university in the American plains. But as a journalism major, she started observing her own compatriots carefully: the Balenciaga heels in class, the Maseratis on the street, the cliques of the wealthy and well-connected. 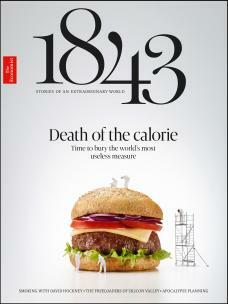 “I realised that we were living a Chinese version of ‘Gossip Girl’,” she says. And the future is uncertain. Chinese families still want to send their children abroad, but a depreciating currency makes dollar tuition fees more expensive. President Xi’s intensifying ideological campaign against Western influences in China may stretch to foreign campuses. And now there is President Trump, his “America First” agenda and his intermittent hostility to China. Chinese students worry that any Sino-US conflict could threaten their freedom to study in America. After Trump’s immigration ban, Iowa staff cautioned foreign students to limit non-essential travel abroad. Andy Tan, a mop-haired senior, told me he would probably cancel a planned trip over spring break to visit his girlfriend in South Korea. “It’s safer to just stay in now,” he says. For Sophie and her classmates, there is a more immediate dilemma: to stay in the US or return to China. American immigration policy has made it increasingly difficult for Chinese graduates to remain in America, but the glut of American degrees – especially from Midwestern state universities – has started to decrease their value back home. Chinese students who return with an American degree, known in China as “sea turtles”, used to be all but guaranteed an accelerated career path in China. But today the mass of returnees with degrees from middling universities hear a new nickname: “seaweed”. When I last saw Sophie, in November, she was hunched over a computer at Java House writing a romantic novel. 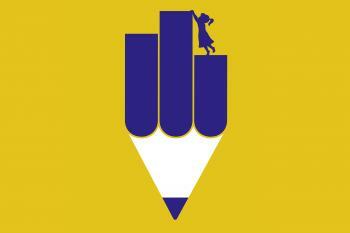 A Chinese publisher had seen her blog and encouraged her to write a book. On a separate screen she was working on applications for graduate schools. 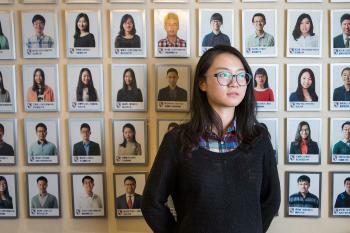 “I could never get a good job in China if I went back with just an undergraduate degree from Iowa,” she says. A couple of weeks ago, she texted me with good news: she has been accepted into a graduate programme at New York University. Maybe there, in the land of “Gossip Girl”, she will finally fit in.